What’s your excuse for not being in shape? Is it not enough time or money to go to the gym? What to do if you’re feeling pain? 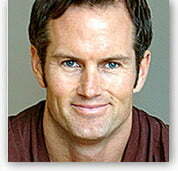 Joel Harper is a long-time certified personal trainer in New York City. He trains everyone from celebrities to Olympic Medalists and his training philosophies have been captured in the New York Times best-selling books YOU: THE OWNER’S MANUAL, YOU: ON A DIET, YOU: STAYING YOUNG and YOU: BEING BEAUTIFUL with Dr. Mehmet Oz. Joel’s workouts have been featured in multiple publications and TV programs, from Esquire to Oprah Magazine, all because his simple yet effective, no machines, no barbells exercises get results.In this episode, Joel delivers a ton of information that will eliminate any excuses you may have created. Time, money, equipment — it doesn’t matter. He also lays out some fundamentals for working out, how to deal with your partner when you’re not on the same fitness page and confronting any possibility that you may not believe you deserve to be in great shape.